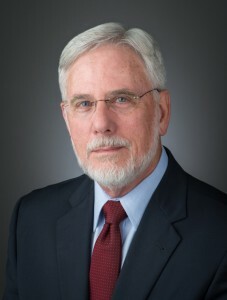 JAMES R. DREBELBIS, AIA, P.E. Mr. Drebelbis is an Architect and Structural Engineer with over 40 years of experience in all phases of building construction and performance, project management, and producing documents for building construction (drawings, specifications, change orders). Expertise includes building system evaluations (roofing, foundations, structure, and assembly of materials), investigation of code compliance, structural failure cause and origin, slip/trip and fall investigation, development of master specifications for building construction, and auditing and defining construction claims for surety interests in construction. Experience includes familiarity with industrial structures, schools, hospitals, public buildings, office buildings, parking structures, and residences. Initiated corrective language through State Senator John Corona to modify the Texas Civil Practice and Remedies Code Section 150.002 Certificate of Merit to clarify the qualifications of those qualified to write a certificate of merit by replacing the words “practices in the same area of practice as…” with the current wording: “is knowledgeable in the area of practice of the defendant and offers testimony based on the person’s knowledge, skill, experience, education, training and practice.” Corrective language was proposed during the 2009 legislative section, unanimously passed by the Senate and the House of the State of Texas, and signed into law by Governor Rick Perry on June 19, 2009. President, founder & operator Forensic engineering and expert witness services to the insurance and legal industry. Specializing in performance failures in structure, concrete, foundations, roofs, floors, building systems, finish materials, building code violation, slip and fall, construction problems, drainage and moisture intrusion. 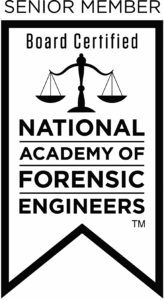 Established and developed an efficient system for performing, delivering and administering forensic engineering services. Provides construction technology, forensic engineering and expert witness services to the insurance and legal industry. Through Drebelbis Engineering, Mr. Drebelbis has built an extensive history of forensic investigation, legal testimony, and public speaking. Contractual forensic engineering services to Hudson International and Garrett Engineering. Performed investigations related to building technology, foundation failures, roof failures, code compliance, structural failure, & fire damage. Expert witness for slip and fall litigation, building code violations and construction problems. . Performed several hundred engineering investigations of residential and commercial property claims. Notable Examples: Assembled a claim of additional construction work for a surety who assumed a construction project after the contractor filed bankruptcy. Participated in the investigation of the TU Electric Montecello stack failure. Management consulting firm specializing in forensic engineering, strategic facility planning, real estate analysis, master planning, facility fore casting, operations analysis and building technology. President and founder, performed marketing, firm and project management. Identified strategies for clients that improve operations while achieving considerable savings for them. Authored several nationally published articles and served as a speaker for national conventions of IFMA, IACC and the AIA. Management consulting firm specializing in strategic facility planning for large corporations, organizations and municipalities. Consulting team member, performed facility utilization analysis and long range utilization forecasts, developed computer based analytical tools for use in strategic facility planning, prepared documentation of project work, Developed econometric methodologies and computerized tools for forecasting asset demand based upon business plans. Contributed to improving the document presentation style and format. Transferred Michigan PE License to Texas PE (1983). A/E/Development firm specializing in designs for educational facilities and high-rise condominiums. Project Architect. Managed the preparation of architectural contract documents. Building types: renovations, additions, and new educational facilities. Developed a master specification for use on smaller projects. Developed a system for economically managing smaller projects within the larger firm. NCARB Certification (1982). Texas Architectural registration (1982). Developed a new master specification for the company using the CSI format. Engineers and Architects specializing in parking deck design and structural engineering. Specification Coordinator. Coordinated the preparation of project specifications for all five offices, evaluated products & materials for inclusion in the technical specification. Project Manager. Planned and coordinated projects, performed parking studies, architectural design, structural engineering, architectural programming, prepared project specifications and administered construction. Converted the company’s master specification to CSI format. Managed specifications for the multiple offices. Assumed responsibility for managing architectural projects accepted by the firm. Full time graduate student Completed the MBA Program (May 1978) Michigan Architectural License (April 1978). A/E firm specializing in educational and institutional facilities. Project Designer/Job Captain (10/74¬11/77). Architectural design, master planning, preparation of contract documents, contract administration. Structural Engineer (6/71-9/74). Structural design, preparation of contract documents, construction administration. Building types: additions to and renovation of existing and planning for new educational buildings, medical office and hospital facilities. Michigan Professional Engineer license (1972). Internship for architectural registration (1974-1976). Structural/civil engineering consultants. Structural Engineer. Structural design and preparation of contract documents. Engineer In Training internship as a structural engineer. Architectural/Engineering firm. Structural Engineer. Structural design and preparation of contract documents. Engineer In Training internship as a structural engineer. The Nuts and Bolts of Facility Forecasting. The Nuts and Bolts of Developing an Automated Facility Forecast. National Convention of the; Atlanta, GA; October 1988. Dallas Harmony Science Academy Dallas, Texas,. Texas Society of Professional Engineers. Learn To Delegate Hire A Consultant To Work For You. Today’s Facility Manager, November 1991. It Presents The First Step In Avoiding A Crises IFMA Journal, Fall 1988.